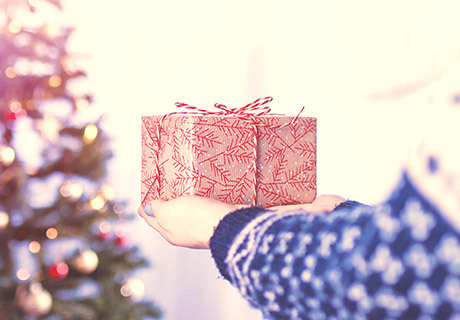 ​Blow your loved ones out of the water with these holiday gift ideas! Traditional holiday gifts such as socks or kitchenware are useful, but easily forgotten. We’ve got some gift ideas for your pool-owning loved ones that they’ll remember, and enjoy, for years to come. Are there any adventurous little ones (or adults!) in your giftee’s family? If the answer is yes, a water slide is the perfect way to make a day by the pool more exciting. Choose from two water slide styles starting at six feet tall and able to support up to 250 pounds. Diving boards are the perfect gift for any aspiring divers, athletic swimmers, or even yogis! Featuring composite springs that resist rust, Seven Seas’ diving boards are available in both six foot and eight foot lengths. Give your giftees the ability to dazzle their guests with water features including arcs of moving water that originate from the deck or landscape. With arcs up to eight feet tall, these water features are illuminated at night with L.E.D. or fiber optic lights. Pools alone are a great tool for relaxation, but pools that feature the soft glow of a colored light reach a whole new level of comfort. Give your loved ones the gift of easy-to control pool lighting featuring both soft white lights and colored LED options. During all those months spent out of the pool, give your giftee the chance to get back in the water with a new hot tub. After gifting a luxury spa from either Hot Spring, Caldera, or Strong Spas, you’ll be the first on everyone’s holiday party invite list for years to come.